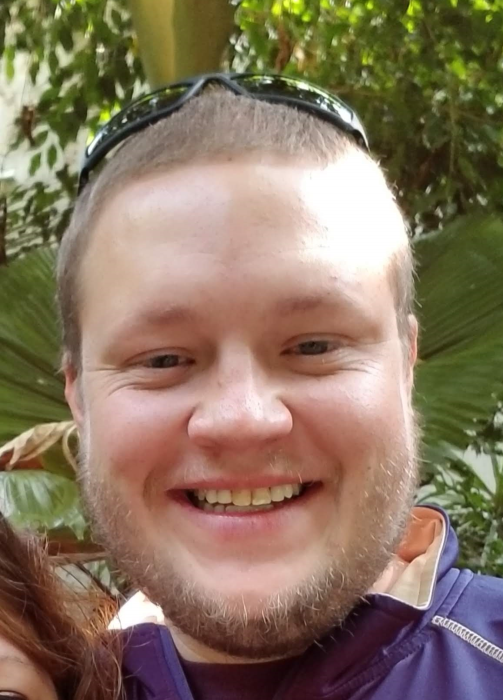 Elliott W. Brown, 32, of Churubusco, passed away at 7:05 PM, on February 7, 2019, at his mother’s home. Born in Fort Wayne, on June 6, 1986, to William and Teresa (Elliott) Brown. He spent his formative years in Churubusco, graduating from Churubusco High School in 2004. Elliott married Janelle Davis on October 17, 2015. He worked as a metal finisher at C & A Tool for 11 years, but most recently he worked at B & J Medical. He loved cooking giant meals for the people he loved when they were gathered together in his home, his favorite place to be. He was a kind and loving soul who never hesitated to help when someone needed him. Elliott is survived by his wife, Janelle Brown; his son Hayden Brown; his mother, Teresa (David) Ruckman; a sister, Jennifer (Frank) Oranzi; a brother, Justin Brown and his paternal grandparents, Harry and Yvonne Brown. He is preceded in death by his father, William Ray Brown. Memorial Services will take place at Sheets & Childs Funeral Home on Wednesday, February 13, 2019, at 11:00 AM, with calling one hour prior to the service. Family will also receive friends on Tuesday, February 12, 2019, from 2:00 PM until 8:00 PM. Instead of flowers, please direct memorials to the Hayden Brown Education Fund C/O Janelle Brown.